The documentary 5 Generations: From Enslavement to Public Service in Atlanta is a commemoration of the achievements of five generations of African American women in the Metro Atlanta area from Reconstruction through the 20th century. 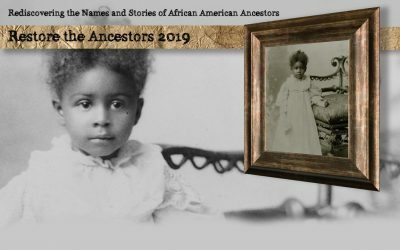 By exploring genealogy, family lore, and historic documentation, viewers will become familiar with various historical philanthropic, educational, and political institutions within Atlanta’s African American communities through the lens of the women in one multi-generational family. 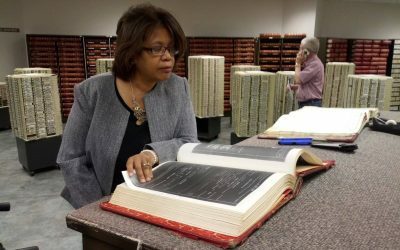 Genealogist Robin Foster shares research tips and keeps you up to date with what’s happening at the IAAM Center for Family History. Our On Demand Learning Library will help you build your research skills and keep your research moving forward. Learn about efforts to preserve African American community and family history. 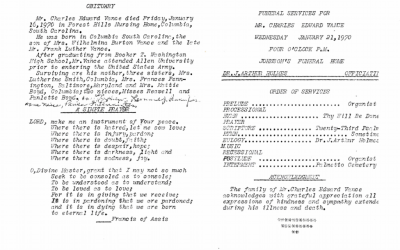 View our growing collections of funeral programs, obituaries, photos, historical documents and family histories. Learn from the experts! 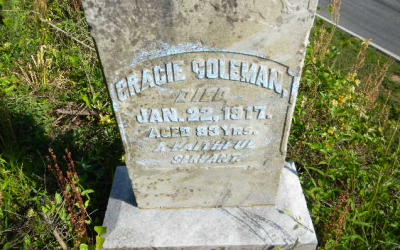 View guest posts written by experts in the field of African American genealogy. See what we’ve been up to. Learn about upcoming community events. 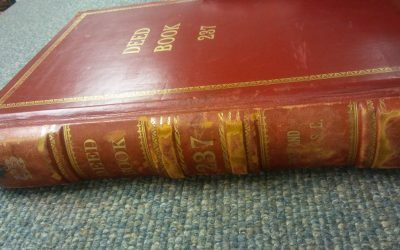 Would you like to contribute funeral programs, obituaries, photos, historical documents or family histories to our collections? Here’s what you need to know to get started on preserving your family’s history at IAAM! Ideas for inspiring young family historians. View featured videos. Ramp up your research skills with video tutorials. Learn more about the rich Gullah Geechee cultural heritage of the Lowcountry. Our video gallery has lots to sink your teeth into. View on any of your devices! 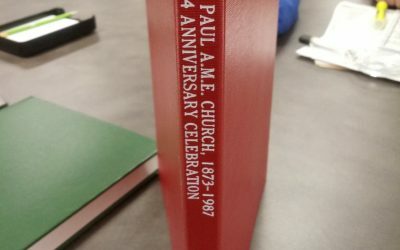 Would you like to contribute Bible records, funeral programs, obituaries, photos, historical documents or family histories to our digital collections? We will cherish your contributions. Here’s what you need to know to get started on preserving your family’s history at IAAM! 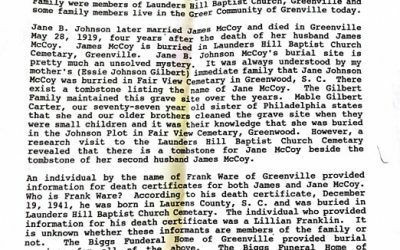 In Emory Wallace Vance, Sr. is Among the Richland County, SC Grantor Deeds, Emory Wallace Vance, Sr (1901-1973) gave Martha Vance, his step mother, his land and property after the death of his father, Rev. Lafayette Franklin Vance for the cost of $5.00 and love and affection. 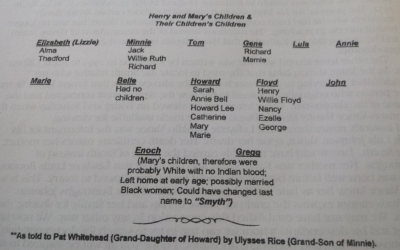 Grandma Martha is someone I did not meet in this life, but the children of Rev. Lafayette Franklin Vance referred to her as such. 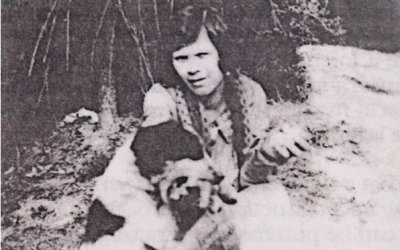 They were the children of two sisters, Nunia and Lula Johnson Vance. 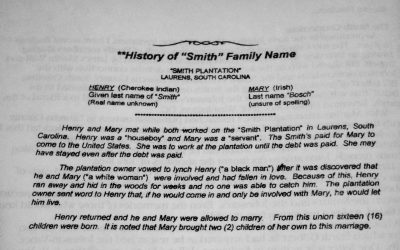 After I had discovered that Henry Smith was the brother of Jane Smith Johnson McCoy from the letter of my grandfather, Emory Wallace Vance, Sr., grandson of Jane, I decided to look into the descendants of Henry and Mary Smith and the enslaver of Henry Smith, John Skinner Smith of Laurens County, SC. 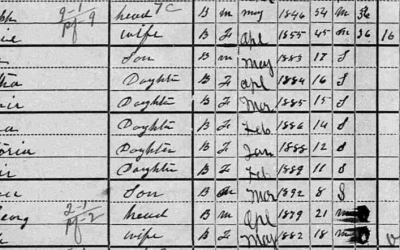 When working with African American genealogy, I knew I was so fortunate to have been given more clues with yet another interview. 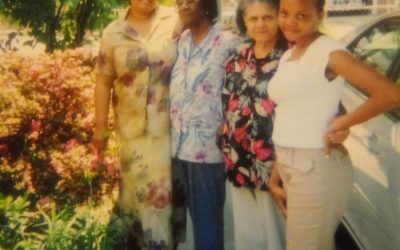 This is the best African American genealogy oral history interview that I have shown you so far. I interviewed the interviewee before and after meeting her, and now that she has passed, I am still finding more. Learn research skills anytime, on any device. Our tutorials will help you get started, or help you take your research to the next level. Grab a snack, settle in, and power up! Coming in late 2020 on one of the most important sites in American history, the place where almost half of all African captives arrived in the U.S., the IAAM will present the largely undertold experiences and accomplishments of Americans of African descent.